In 2018, remittances sent by overseas Filipino workers grew by 3.1 percent to $28.943 billion from $28.060 billion, slightly exceeding the three percent growth projection of the Bangko Sentral ng Pilipinas (BSP). The rate of increase, however, was the slowest since 2001. MANILA, Philippines — The growth in remittances is expected to remain subdued over the next few years, but the Philippine economy can hold up despite the effect on consumption if monetary and fiscal policies are loosened this year and employment growth is sustained, London-based Capital Economics said. In a report issued yesterday, the think tank noted that remittance growth in the country has slowed steadily over the past decade. In December 2018, remittances sent by overseas Filipino workers reached an all-time high, but full-year growth was the slowest in 17 years. Capital Economics expects remittances data for January to reflect weakness. “Remittance growth to the Philippines has slowed steadily over the past decade and looks set to remain subdued over the next few years. While weak remittance growth is likely to act as a drag on consumption and investment, overall GDP growth should continue to hold up pretty well,” the firm said. Capital Economics attributes the slowdown in remittance growth to several factors, including the improved peformance of the Philippine economy that encourages more Filipinos to hold on to jobs within the country. The economic downturn in the Middle East in recent years has reduced the number of available jobs for Filipino workers there. This region is the source of 30 percent of remittances to the Philippines. With these factors considered, the research firm expects the dollar value of remittances to grow by an average of three percent in the next few years. 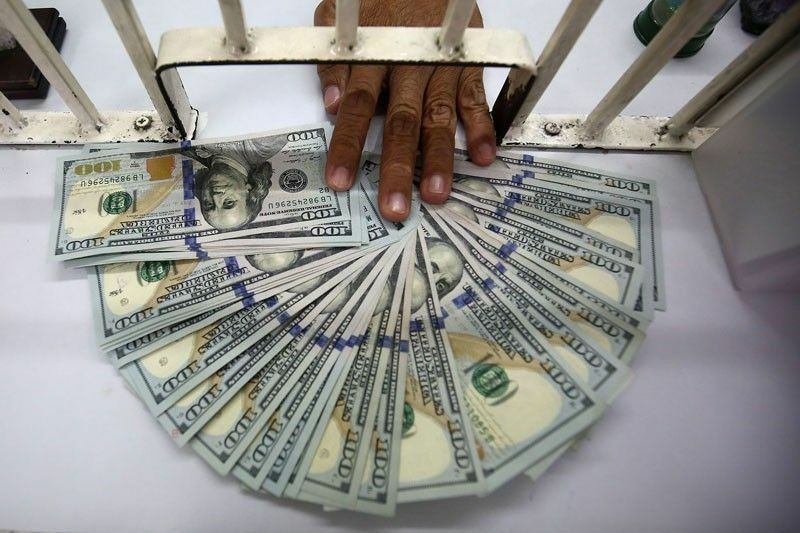 Remittances to the Philippines make up 10 percent of gross domestic product. Despite the drag on consumption and investment this will cause, economic growth will likely hold if fiscal and monetary policies are loosened this year and domestic employment prospects keep improving. In the January 2019 of the government’s Labor Force Survey, unemployment marginally eased to 5.2 percent year-on-year during the month and the employment rate rose to 94.8 percent year-on-year in January. Underemployment, meanwhile, eased more rapidly to 15.6 percent in January from 18 percent in the same month last year. Capital Economics said a bigger concern for slowing remittance growth would be its effect on the balance of payments as the country’s current account deficit is expected to widen, weakening the peso. Remittances are among the country’s biggest sources of dollars that support the economy and prop up the local currency. “The current account has gone from a surplus to a deficit over the past couple of years and is likely to widen further over the next couple of years. While the main driver of the shift has been a surge in imports of capital goods and raw materials as the government’s infrastructure drive has gathered pace, weaker remittances (which are included as part of the current account) have also been a factor,” the firm said.